One body shower spray head and one foot wash spray head. 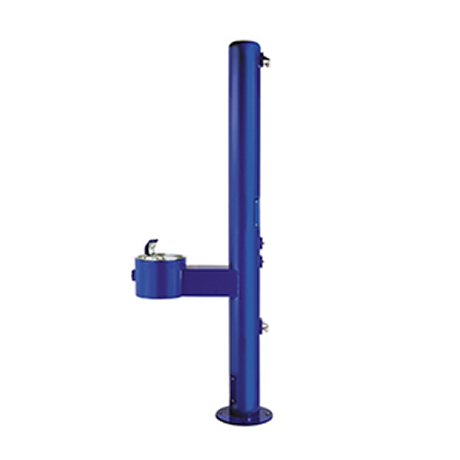 One adult height drinking fountain 180 degrees around pedestal. Timer Controlled chrome plated brass push button spray head valves recessed to discourage vandalism. Chrome plated brass push button valve, chrome plated brass bubbler, stainless steel bowl. 80 inches high x 6-5/8 inch O.D. steel pipe. 12 inch flange base. 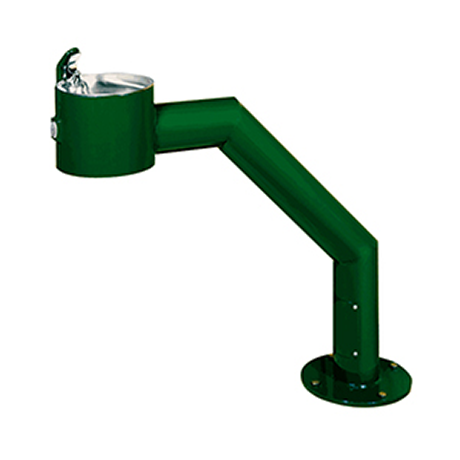 Drinking fountain arm extends 20 inches from pedestal. Top of fountain bowl is 40 inches from ground.